Looking for an eye-catching headline for your article but lacking inspiration? It can happen to anyone. Good ideas don’t always come into your head when you need them. Or should we say ‘fall on your head’? A creative process should be fun. 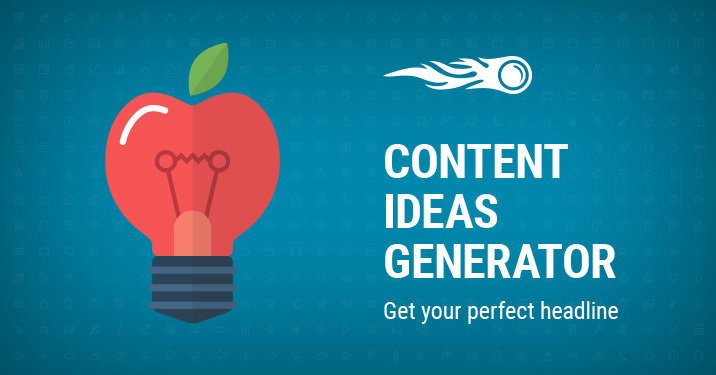 Knowing this, we’ve created the Content Ideas Generator – your personal source of brilliant ideas for headlines. Newton, they say, discovered the Law of Gravity by getting hit on the head by an apple. We’re pretty sure this scenario will work for you too. Just type in a topic and get your ideas. Don't forget to share your results on social networks. Need more? You can always switch to our Topic Research for more detailed content ideas analysis.